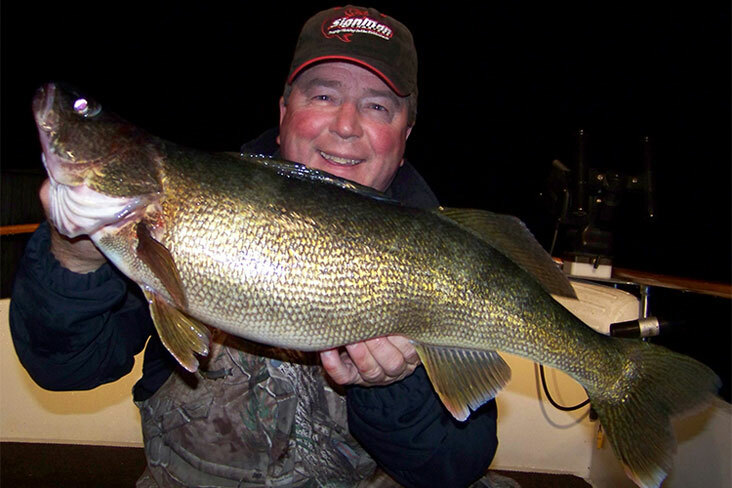 Fish the St. Lawrence River with fishing guide Captain Rich Clarke. 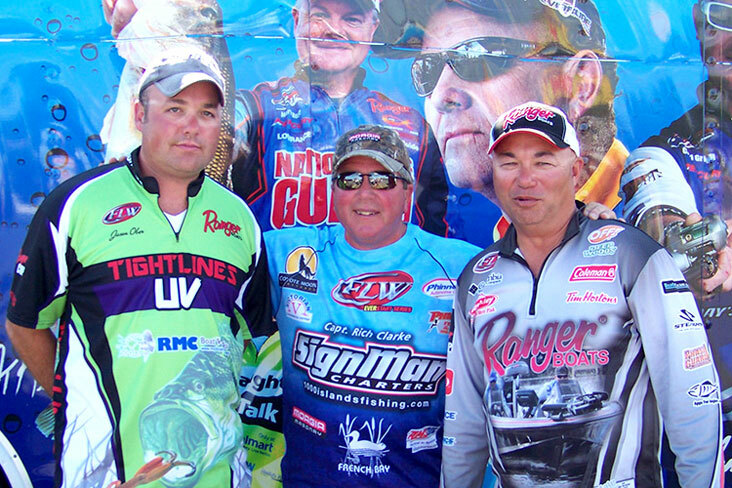 1000 Islands - Sign Man Charters is located in Clayton NY. 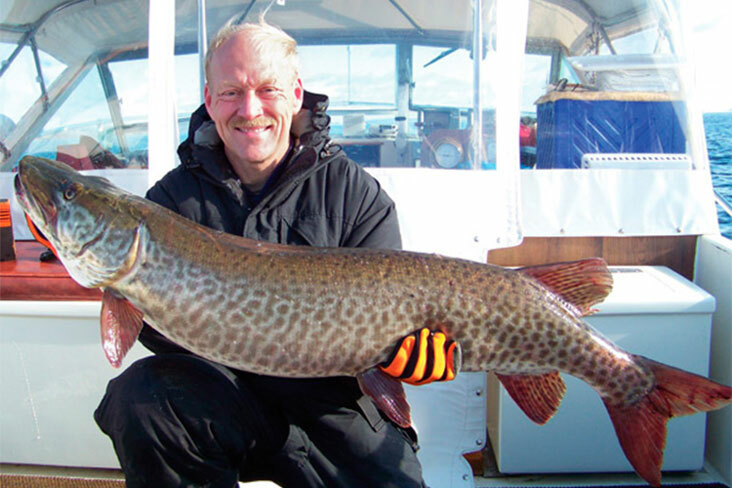 A great catch and another spectacular day in the 1000 Islands! 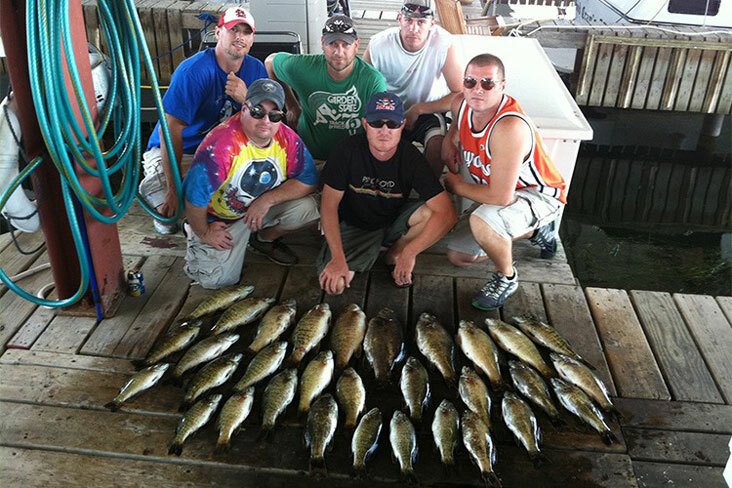 At Sign Man Charters our goal is simple … make it easy for our customers to come fishing. 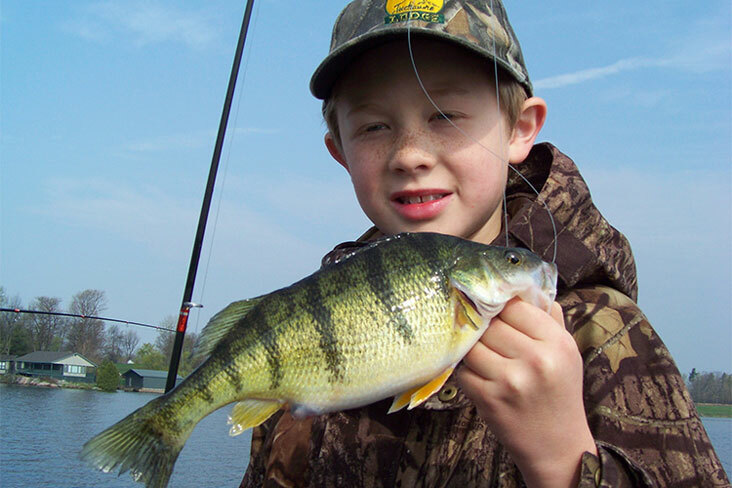 Help them catch quality fish. 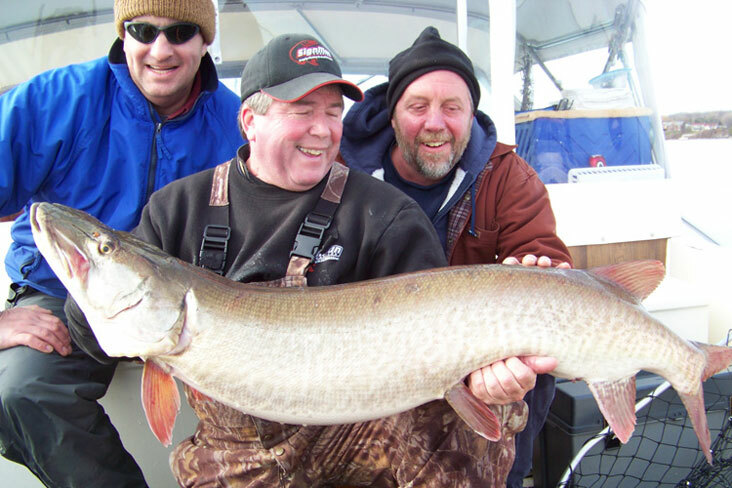 Show them a great time on the water. 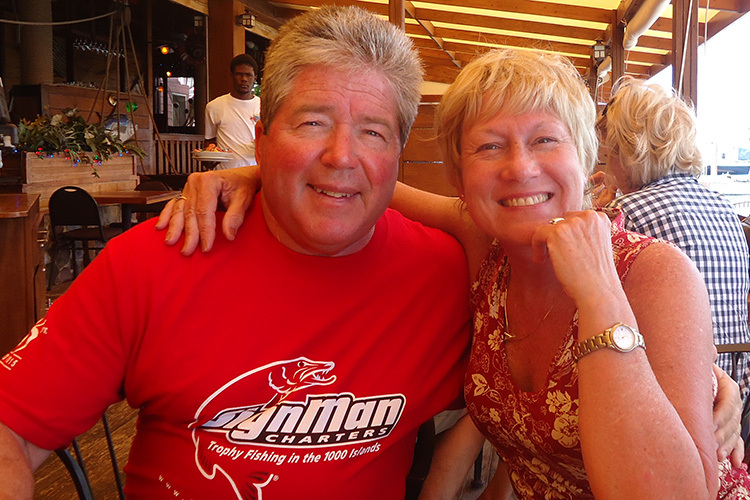 Have them visit us again and again. 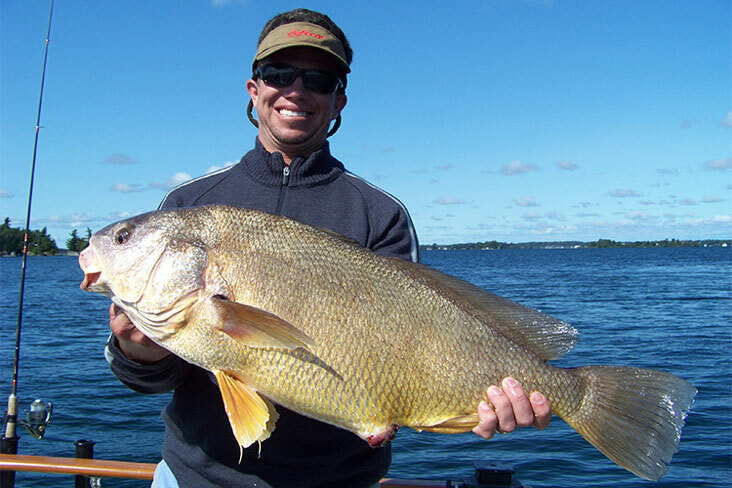 That’s why we are one of the most successful charter services in the 1000 Islands. 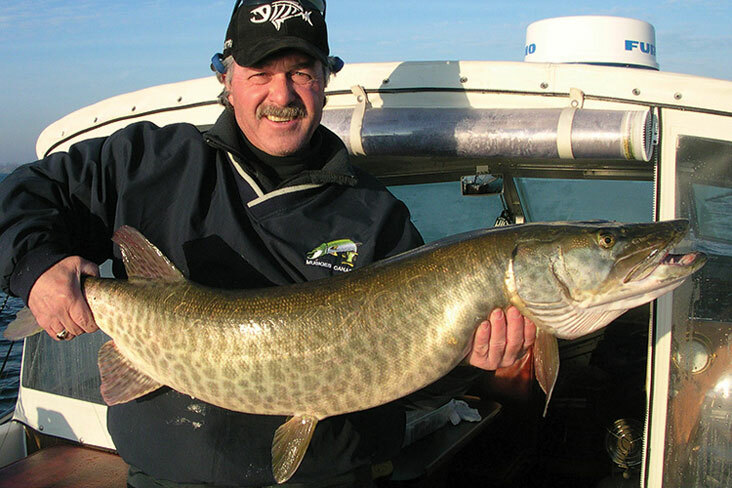 Since 1980 my wife, Georgeen, and I have been providing memorable fishing trips for our clients. 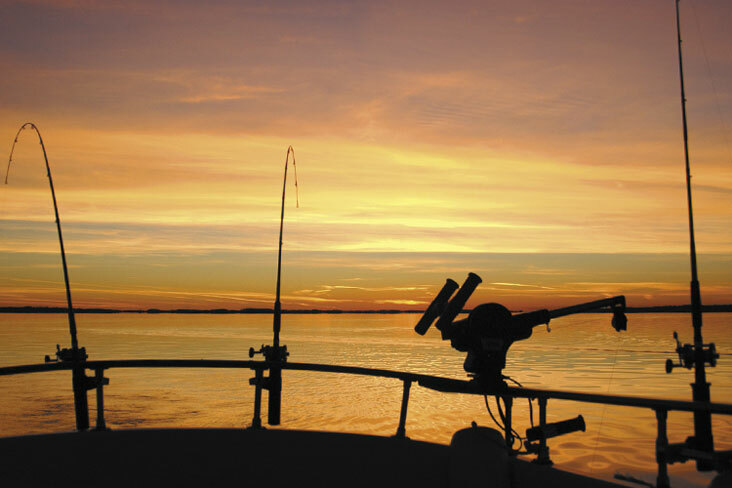 We have two boats that are United States Coast Guard inspected and fully equipped for your comfort and enjoyment. 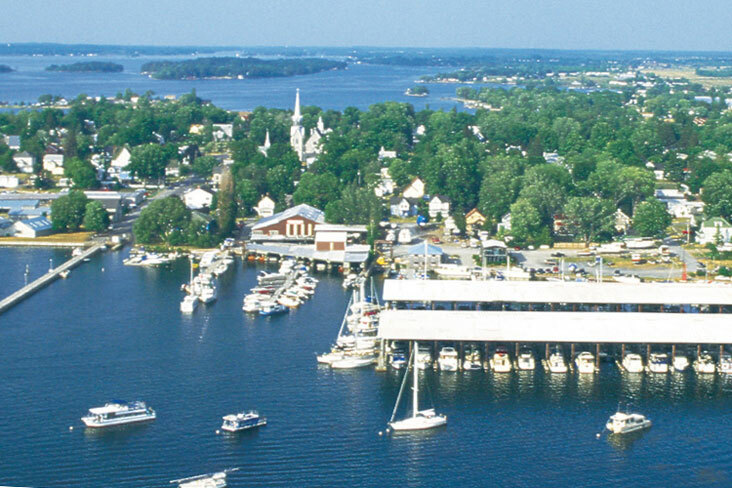 Home port is French Bay Marina, on the St. Lawrence River, in Clayton, New York. 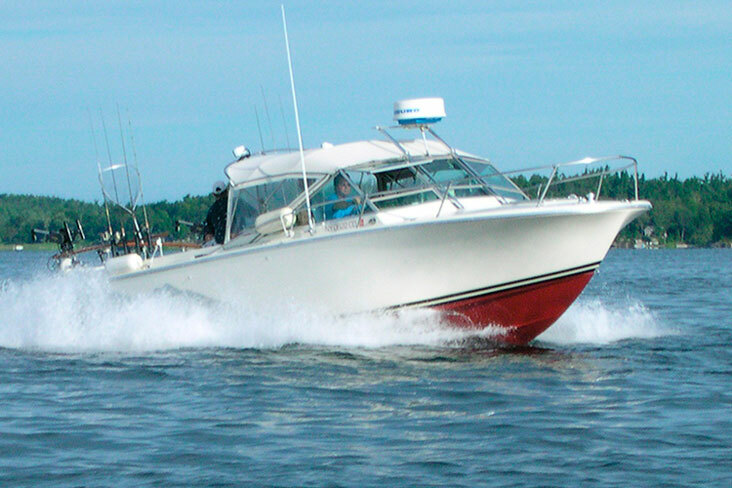 Fish in style aboard our classic 28’ twin inboard custom sport-fishing boat. 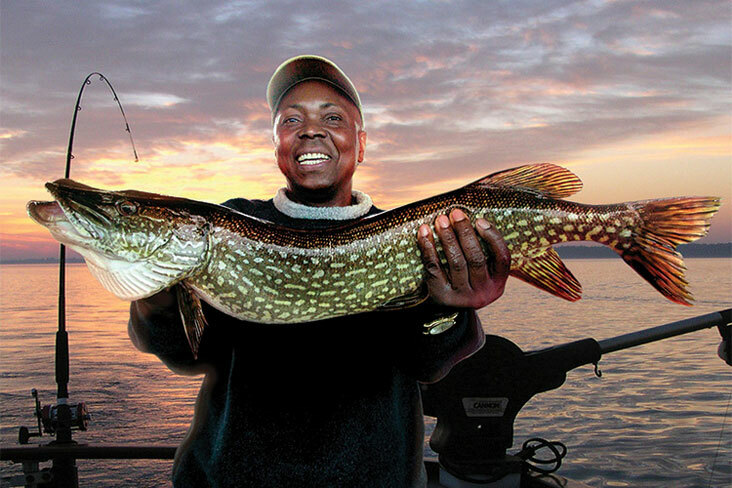 You will enjoy top quality fishing equipment and the latest in electronic sonar, radar and global positioning systems and more. Eat your boat lunch at our sit down dinette in an enclosed cabin or go ashore and I will prepare you a shore dinner feast with your catch of the day. 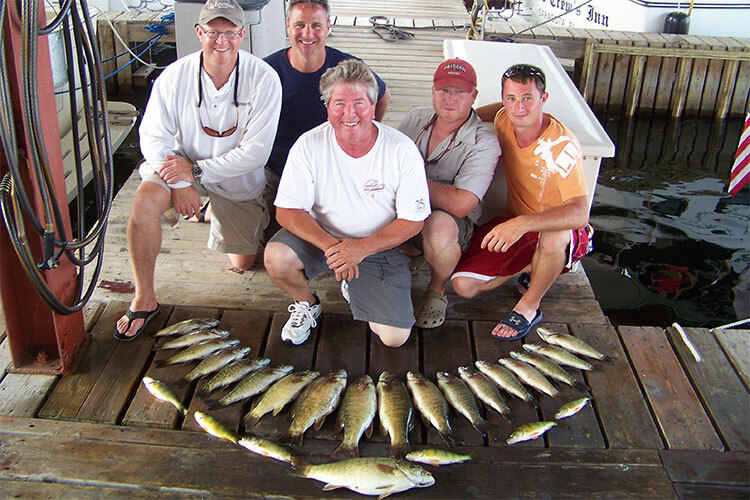 Your food and beverages will be kept ice cold and a full size marine head is provide for your convenience. 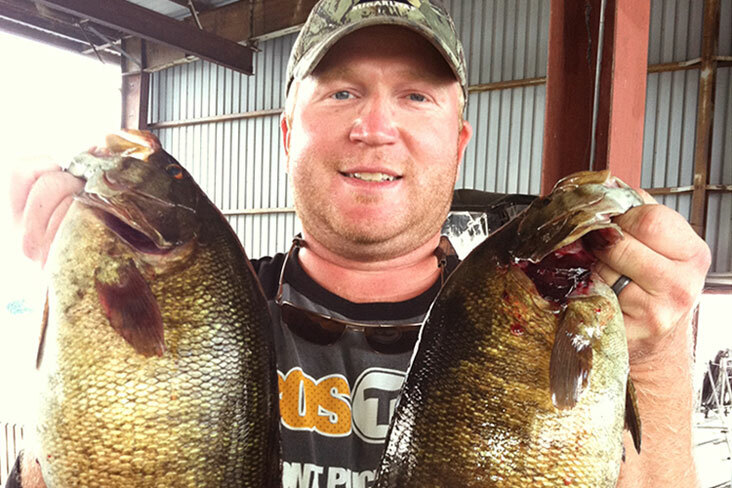 PA pro Jason Ober, Clayton, NY Capt. 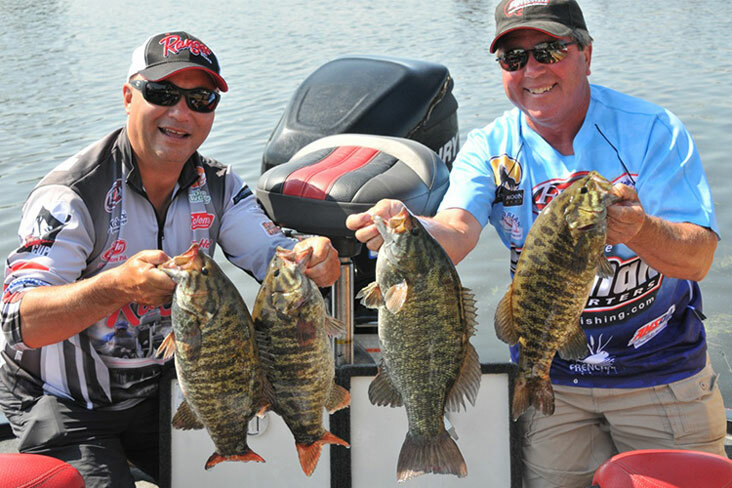 Rich Clarke and Milton ONT, pro Bob Izume shared a great time fishing the FLW Tournament. 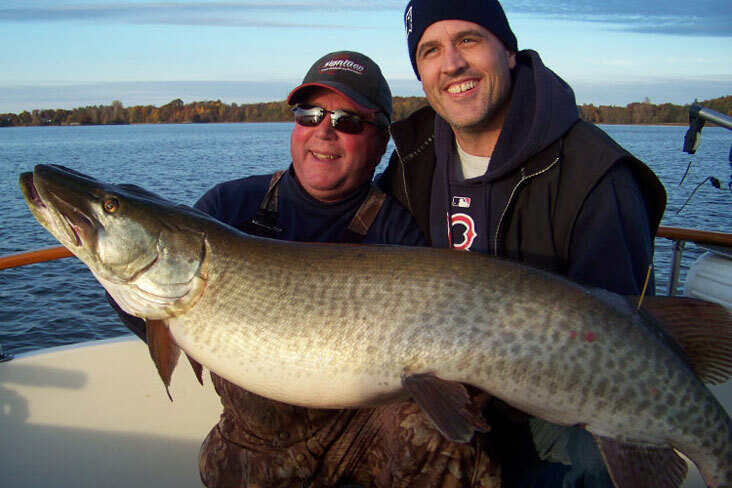 You will fish for world-class Muskie, Smallmouth Bass, Largemouth Bass, Northern Pike, Walleye Pike, Jack Perch and more. 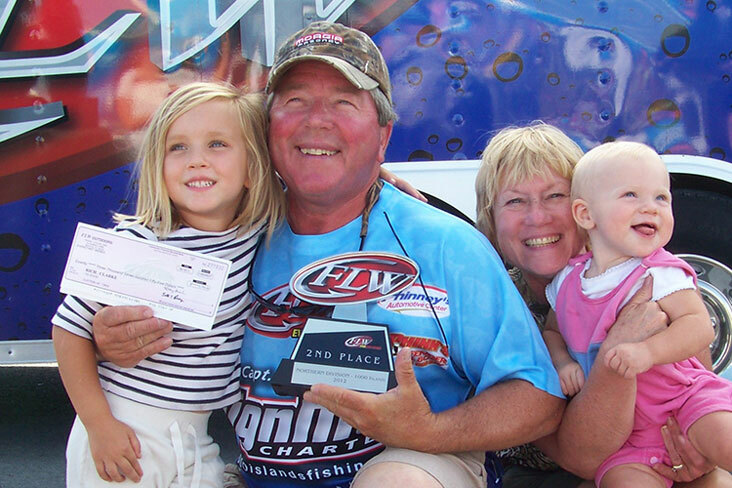 From families with small children and first time anglers all the way to the pros., I have the experience and knowledge to make your trip a successful one. Our season runs from May through December 15. Click the Contact Us! 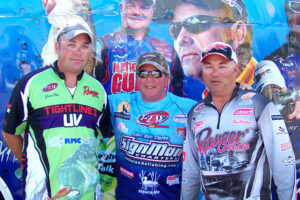 button below and let us answer your questions, provide you with a free brochure and fishing package details.